Harman Kardon's Citation smartspeakers will be updated with AirPlay 2 support early this year, according to the latest announcement out of CES 2019. A third TV maker, LG, said on Monday that it will bring AirPlay 2 and HomeKit compatibility to its 2019 models. Electronics maker TP-Link is introducing HomeKit support to its smartplugs starting in early 2019, potentially providing a significant boost to Apple's platform. Swedish giant Ikea is beginning to roll out its first Smart Shades, compatible with Apple HomeKit and other smarthome platforms when paired with the company's Tradfri hub. At the Las Vegas Consumer Electronics Show, long-time accessory maker Mophie has rolled out a new battery case for the iPhone XS family, and the iPhone XR. 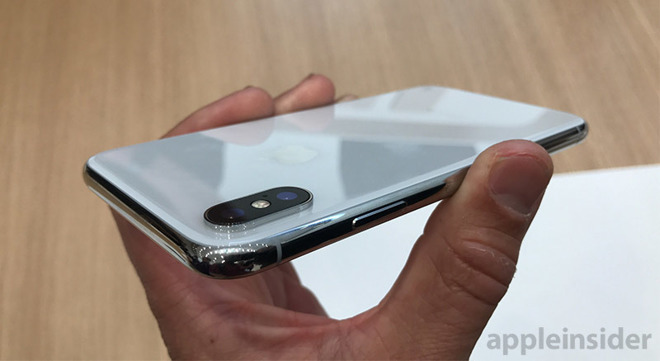 This fall's next flagship iPhone may come equipped with a triple-lens camera on the rear, according to a render said to be based on an early development leak. After Apple restated its December quarter revenue guidance to account for weaker than expected iPhone demand in China, media across the spectrum has cranked their clickbait content generators up to 11 to take full advantage of AAPL panic season. Unfortunately, what almost all of them are writing is ignorant gibberish that has nothing to do with actual events. There has been much drama over Apple's stock prices lately, with the latest being the swing because of slowing iPhone sales in Greater China. While a lot of what Apple has done leading to this point isn't great for investors, it is pretty good for consumers. Apple has withdrawn the iPhone 7 and iPhone 8 from sale from its online store and retail outlets in Germany, one day after Qualcomm posted its $1.52 billion security bond required by a Munich court to enforce the countrywide ban. Chinese smartphone giant Huawei has issued harsh punishments to two of its staff in the aftermath of New Year's Day marketing tweet sent out with the label "via Twitter for iPhone." Apple needs to respect the decision of a court banning the sale of some iPhone models in China, a Chinese anti-counterfeit alliance declared on Thursday, alleging subsidiaries affected by the order are seemingly ignoring the demand relating to a Qualcomm patent infringement case.